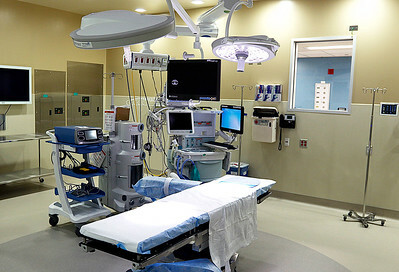 H. Rick Bamman - hbamman@shawmedia.com One of eight new operating rooms at Advocate Good Shepherd Hospital in Barrington will be bart of the tour during a community open house scheduled for Saturday May, 14. 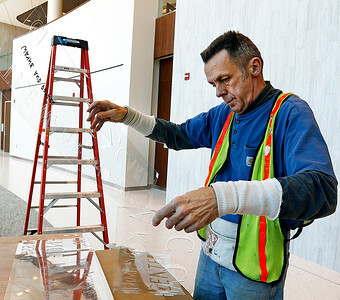 H. Rick Bamman - hbamman@shawmedia.com Signage specialist Al Ribskis of Poblocki Signs, prepares stencils for interior sign display at Advocate Good Shepherd Hospital on Thursday, May 5, 2016. The $247 million modernization project at the Barrington campus is nearly complete with a community open house scheduled for Saturday May, 14. H. Rick Bamman - hbamman@shawmedia.com Lori's Gifts regional manager Deb Chronister unpacks stock for the new gift shop at Advocate Good Shepherd Hospital on Thursday, May 5, 2016. The $247 million modernization project at the Barrington campus is nearly complete with a community open house scheduled for Saturday May, 14. 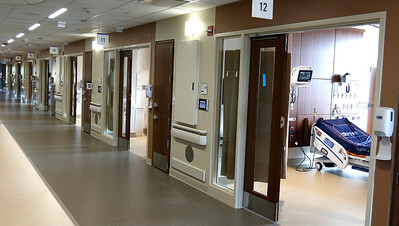 H. Rick Bamman - hbamman@shawmedia.com Advocate Good Shepherd Hospital Intencive Care rooms shown on Thursday, May 5, 2016. Officials plan to show off the $247 million modernization project during a community open house scheduled for Saturday May, 14. 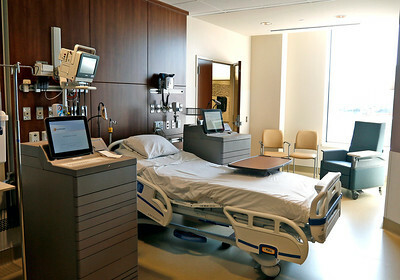 H. Rick Bamman - hbamman@shawmedia.com An intencive Care Unit room at Advocate Good Shepherd Hospital shown on Thursday, May 5, 2016. Officials plan to show off the $247 million modernization project during a community open house scheduled for Saturday May, 14. H. Rick Bamman - hbamman@shawmedia.com Workers clean a bank of windows at the new eantrance of Advocate Good Shepherd Hospital in Barrington on Thursday, May 5, 2016. The $247 million modernization project at the Barrington campus is nearly complete with a community open house scheduled for Saturday May, 14. H. Rick Bamman - hbamman@shawmedia.com The exterior of the 208,000-square-foot Advocate Good Shepherd Hospital building on Thursday, May 5, 2016. A community open house scheduled for Saturday May, 14. 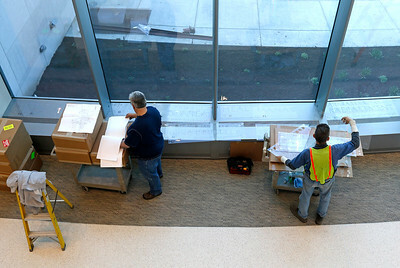 H. Rick Bamman - hbamman@shawmedia.com Signage specialists Sam Miyuskovich (cq) (left) and Al Ribskis of Poblocki Signs prepare stencils for interior displays at Advocate Good Shepherd Hospital on Thursday, May 5, 2016. The $247 million modernization project at the Barrington campus is nearly complete with a community open house scheduled for Saturday May, 14. 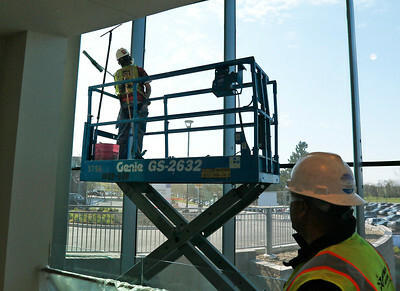 Workers clean a bank of windows at the new eantrance of Advocate Good Shepherd Hospital in Barrington on Thursday, May 5, 2016. 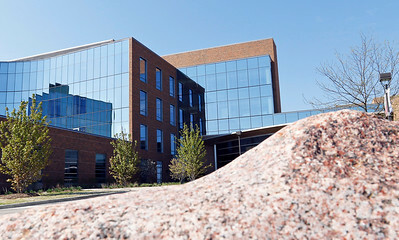 The $247 million modernization project at the Barrington campus is nearly complete with a community open house scheduled for Saturday May, 14.